Have you ever noticed that correcting, chastising, even physically punishing your dog to try to stop the barking isn’t working? 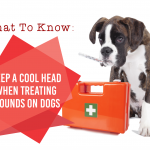 Here is a list to help you understand from your dog’s point of view. Imagine going your whole life without speaking, or communicating with those around you. I have always thought of the sacrifice monks must undergo to take a vow of silence. I, personally, could never go more than a day or two without speaking to someone or something. Actually, I think a day of silence would be difficult. Yet, somehow, we expect our dogs to be silent. Dogs communicate with each other by barking. This is how they warn other dogs or members of their pack that something dangerous may be afoot. This is how wild dogs and wild dog packs maintain on survival. Your dog may be a pet and part of your “human” pack, but he is still a dog, and he still has canine instincts and need for communication. Total silence is difficult if not impossible for some dogs. Instead, we can teach him WHEN he can use his vocalizations with this and what is appropriate to communicate. Remember how I discussed earlier how dogs communicate with each other by barking? 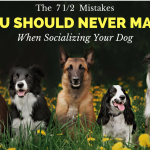 If you leave your dog outside for extended periods of time, he is likely to find other outside dogs to communicate with for entertainment purposes. Ever heard stories of people in prison communicating with each other but never truly being able to interact personally? They get to know each other, share stories, and even warn of coming guards. Dogs create similar relationships with dogs in the neighborhood. You can often hear them vocalizing amongst themselves and carrying on “conversations” if you will. Often times when we constantly yell at our dogs, they think we are chiming in or barking “with them”. Someone walks past your window and your dog begins to bark. You, as a human, know there is no real threat, so you become increasingly irritated. I mean, why would he bark at the 92 year old neighbor getting her morning paper? So you yell back at him. Let us remember, he does not speak English and therefore doesn’t understand the meaning of your words. Both sound exactly like what he is doing. Take a step back… do you sound like you are “barking with him”? 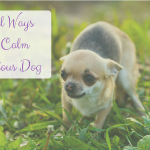 In order for dogs to understand that being calm is the way to handle a situation, you must in fact, lead by example and be calm! 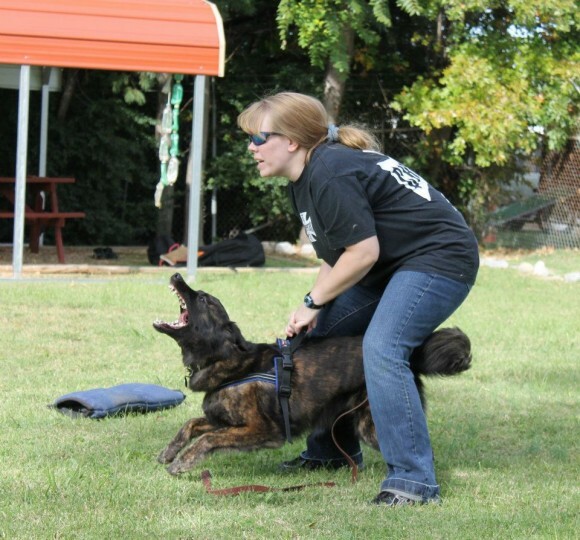 Be calm, be quiet and teach your dog to understand and respect your “quiet” command. Most often when I talk to people who are infuriated with their dogs’ barking, I find that they are painfully inconsistent in their teaching or “correcting”. You may or may not chase your dog down to teach him to be quiet during the day. 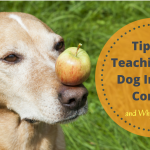 Quite frankly, a lot of dog training depends on when it is convenient for the human. Are you busy, can you go to him and work with him. This often depends on what you are doing and how motivated you are to get up. It also, often, depends on how long it takes for you to reach the point of “irate”. 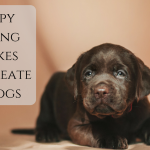 One night you may become irate after a dozen or more loud barks, but sometimes perhaps after a particularly bad day, you might become irate after 5 loud barks. How is your dog to judge how serious you are if your seriousness fluctuates? Some days you are a more patient parent than other days. Some days you are easily irritable. 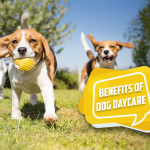 However the difference is that most children are able to reason and notice the subtle differences; dogs however are not as adept at reading and understanding our human ways of communication and therefore unless you are consistent they have difficulty learning. Again this is an inconsistency. You don’t know how often I hear owners tell me that they don’t want their dog to bark. But….. they do want their dog to scare away strangers. Once again, I will point out that dogs don’t have a lot of powers of human rationalization and understanding. At the very core, I do believe that most dogs will defend their owners in times of threat. However, and thankfully those moments are few and far between. We as humans get more uptight about possible negative human interaction than most situations warrant. But, we still want to feel like our dog is “protecting us”. The irony is, that unless you have your dog’s voice and bark under your control, you can’t have both. You can’t have a dog that is quiet when the UPS man or mailman comes and then have a dog that “recognizes the bad intentions of a burglar”. Dogs are not predisposed to recognizing the intricate details that we as humans think we recognize (usually until the moment of aggression by the human). Understand that your dog is a “dog”, a canine that speaks a whole different language and stop expecting him to miraculously recognize the good or bad intentions in a human. And, let me be the first to tell you that having a dog that loves everyone and doesn’t bark is much better than the alternative of having a dangerous dog that hates everyone! Don’t try and create a monster simply because you want to feel protected. 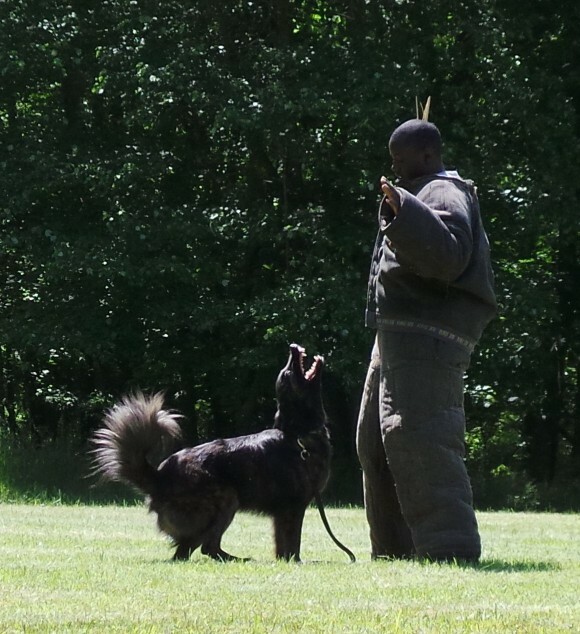 Instead, learn to control your dog’s bark so that you can use it to your advantage, while still having a dogs that is safe with people. Tufts University did a study many, many years ago (1996) about the legitimacy and effectiveness of bark collars; shock collar vs citronella collar. And, the study showed that barely over 50% of dogs were effected by shock bark collars. Many of the dogs in the study just braced and barked through the shock. Yet, 90% of the dogs who used citronella collars learned not to bark. Because the spray of the citronella, combined with the sound and the smell was repulsive to dogs; AND the collars were consistent. The collars (as long as they were filled properly, the battery replaced and used consistently) were consistent with the dog’s barking. The collar doesn’t have “moods” where sometimes it takes more barks to set off the collar. The collar is consistent. 1 bark = one spray; every time! These collars are very consistent if used appropriately and regularly for long enough to break the original habit. 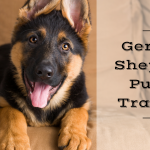 What Is The #1 Way To Stop Your Dog’s Barking? The number 1 way to stop your dog’s barking is actually to learn to be in control of his mouth and his barking. When I teach my dog to bark on command, I can teach my dog to be quiet on command. When I have control of my dog’s mouth or “barker” I can tell him when to bark (let’s say I am scared of a person approaching) and I can also tell him when not to bark (let’s say I don’t want him to bark as I sign for the UPS package I am receiving. Teaching him to control one of his instincts, allows him to use it but also allows me to use it appropriately. I don’t expect my dog to quiet for the rest of his life. I expect him to bark when I tell him to, bark when I allow him to, and be quiet when I request. This provides a simple balance to a difficult problem! Cannot stop my dog from barking in the car! You said how you did it but didn’t follow through with the tectonics of how to do each one. I am taking your course and have been looking for just the one on barking, any help on location that specific title? thank you for a very much for much needed class! which everyone would take it! If only we could turn humans into dogs for a day and be treated as some treat them, fantastic I know, but needed ! Ok so the biggest problem i have right now is that i have a group of dogs. two chihuahuas and a Labrador mix. They like to bark at my door when someone knocks. Now i can get the are all being rewarded when the other one barks but i cant keep two in the kennel all day till someone knocks on the door. What can i do to train them all. My 10month old shih Tzu only barks alot when he is on.the field playing with another dog one in particular how can I calm him. I have 4 Shih Tu’s and trust me they bark. My neighbor told me about a product called “Stop That”. It’s in a Orange spray can. When the dogs are barking out of control, I spray it just above their heads and say “No Bark”, it seems to be working. It also make a semi-big noise. It’s filled with Seratonun and won’t hurt them. It seems to calms them. Now when they start to bark like crazy, I say, “Want me to get the can and they stop. I got it on-line through Amazon. A comment on the picture with the caption “You want him to recognize a bad guy”: why did you choose a picture with a black guy? Why does color need to matter? That is a friend of mine and my dog. Anyone who puts the suit on is “the bad guy” is he/she not? You don’t send a protection or police dog to bite the good guy, do you? I get in the suit to catch other people’s dogs and am never the “good guy”… that defeats the purpose of the bite suit. See, I don’t see it as a racial picture. I never would have noticed honestly. It is just a friend, training my dog for competition. I suppose it is those who notice who might have to relook at their own issues. I am so glad you mentioned the citronella collar – I have used one before & am using it again on my newer dog now. The dog I have now was an absolute compulsive barker. Once she got started she could keep at it for a half an hour, and probably even more. Also, I could hear that bark a few blocks away, & it made me feel bad for the neighbors. With the citronella collar – it is as if she learned some self control. Now, even without the collar on, she will bark much less and only when necessary. I mean necessary to her – which sometimes means her dog friends – but at least she can stop after a few barks. And I can always turn the collar back on for zero barks if I’d like. I have tried those collars,also plug in,s to calm my dogs….nothing seems to work…. I have trained all my dogs over the years to stop barking at night by flipping on the yard light for a few minutes. This is done only if the barking gets beyond reason. However, if there is a situation that needs to be addressed, that doesn’t stop the barking. I’m glad they seem to know the differrence. I don’t understand how a light would make any difference? I so need.help we just got a Newfoundland 4 months old and.his barking and biting.is out.of control matter what we try it sent helped can.someone please.help. Is there a connection between uncontrolled barking, and aggressive behavior? 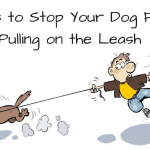 I have observed a neighborhood dog who is left for hours in its backyard, barking incessantly, and on the rare occasion the owner takes it for a walk on a leash, the poor dog is nearly jumping out of its fur. As it happens this same dog has also escaped it’s fence, and actually attacked my dog, there is home surveillance video of this, and of course I opened up a police complaint. It has happened 4 times over last year! The owner no longer leaves it out unattended so we don’t get the barking, but now it is walking the poor dog, on a stretch leash and the owner has no idea how to walk that poor dog! Several times it has escaped the owner and, all of this is just SO sad. Anyone who has a dog, needs to spend quality time with the dog. And not just put it “out” all alone. What a ridiculous, race-baiting question that does not belong on a dog training site. I didn’t even notice the color of the person in the bite-suit until your silly, negative comment. Maybe ‘you’ need to change ‘your’ focus. The rest of us want to learn and are interested in the content of the page. Cheers; Hope you find peace and tranquility. Why would you assume she’s racist???? And why would you stoop to name calling??? I’m glad people are more aware that it’s an issue and standing up for/making sure it’s color blinded-ness wherever it’s seen to be needed. Thanks for pointing out the citronella collar, I think I will try that. I tried a shock collar and it shocked her for no reason. I got it because it (supposedly) beeps on the first bark and shocks after that in the hope that I could get her to just associate the beep with negativity. It might be ill fitting but after trying it twice and watching it shock her for no reason and not shock when she does bark, I think I’m done with that collar. I have tried “getting control of her bark” but I cannot for the life of me figure it out. She does a bunch of tricks but she doesn’t understand when to bark on command. I think I’m gonna try the spray collar and talk to some local trainers for advice. Thanks! You guys just keep bringing more attention to the dog suit hater. Hahahaha. After reading a few of the comments about that issue and moving on, I nearly forgot all about it until it was brought up again. I think the best way to handle these types are to just ignore them. The more you ignore them the faster they go away and/or figure no one is interested and drop it? I believe some people just make the comments to see how riled up they can make others? We don’t have to go on and on about it to prove we are not prejudice!!! Ignore, ignore, ignore!!! Chet, we have a rescue that was abused with a bark collar,. 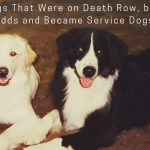 The kennel was in the basement of the home and the dogs were in cages. The owner would walk around on the floor above and randomly beep and shock the dogs. It has taken us more than a year now and we still battle with fear from, beeps and someone walking on a floor above. Unfortunately everything in today’s world beeps. I have 2 mixed bred pit bull pups (8 months old) and as soon as we start our walks they non stop bark. I think they just get over excited but not sure how to calm them down. I have already left a comment on the previous page.I have 2 mini Aussies. One is about 10 yrs and the other is 3yrs. The older one was trained with the basic commands. The younger one was about 9 mos when we got her from rescue. She had to have her eye removed due to disease. She is very afraid of noise such as the garbage truck going down the street. She is very aggressive when someone is at the door. I don’t know if she woud bite. I never let it go that far. When we watch tv she is usually quiet until someone in the room stands up. Then she goes into a barking jumping idiot. I do hope you can help with this. Hi. We have 3 dogs. The newest, a female, has the barking issue. She also is a howler and a huge whiner… Any suggestions for using a citronella barking collar in a multiple dog household? I would hate for the barking of one of the other dogs to spray here, even if she didn’t do it. I could just see the boy barking on purpose just to bother his sister. My dog rarely barks. He is an American Staffordshire Terrier and he talks a bit (those who own a Staffy will know what I mean) but he almost never barks. My friends German Shepherd barks all the time at anything and everything, especially if we are out walking. Some of it sounds like happy excited barking, but if she sees another dog she sounds fearful and like she’s pretending to be tough. However, If I walk her when her owner is not there she doesn’t usually bark. Well said! Didn’t know I was going to being going down that rabbit hole….Just wanted to educate myself on the ways of a well trained dog. Toy poodle Cindy pure bred now 12 yrs old rescued her at approx 1 yr old. Spoiled. Barks at company. If they move she raises the roof. Not raised around children. Hates the car. Other 4 dogs love the car and will quiet on command and mind surperbly. She only plays with male shepard. Would pkay w jack rus terr but shes 14 and moody. Female blk lab 16 and 5 yr yellow lab ignore her but all 5 hang together peacefully. ??? I’m a master trainer, and I fully agree with this article. Training and consistency is key, as is excersize. A board dog is a destructive dog. There are NO bad dogs, just uneducated or bad owners. Thank you for putting this out there. Hopefully it saves the homes of many dogs that bark. I am so glad that I am not the only one who did not notice the skin colour of the person wearing the bite suit. I actually had to scroll back up the page to check. I was more interested in the article than I was in the accompanying photo anyway.